Hi! This is Vic and Lee, owners of Discount Windows. On behalf of our entire team we would like to welcome you to our website! This is by no means a comprehensive scope of what we do – merely an outline. We encourage you to take a moment to call or email us via our contact page so we can have the opportunity to tell you how we can REALLY save you time and money on all of your window, door, door hardware, and trim and molding needs. Yes! We offer overstock products that are BIG savings. REALLY BIG savings! 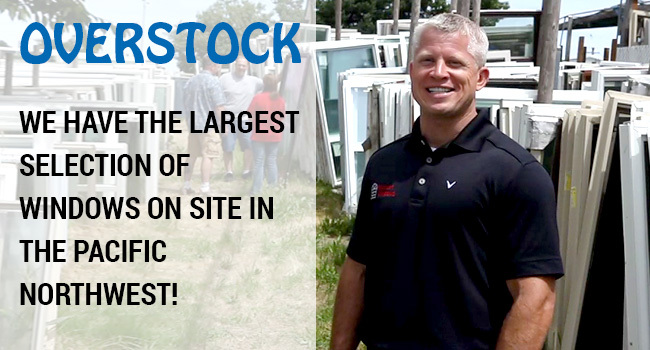 We have the largest overstock selection in the Northwest! Yes! We deliver to just about anywhere! Yes! We do custom orders from all of the major manufacturers of vinyl, fiberglass, wood & aluminum windows (MOST with a lifetime warranty). Yes! We do residential and lite commercial doors – custom orders as well. Yes! We do hardware for doors! Yes! 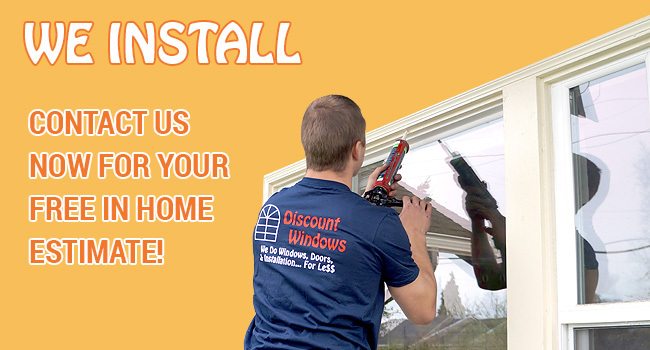 We will install your product if you would like! We specialize in all residential & lite commercial projects from the Do it Yourself home owner to the Contractor with any size projects. We have listed several of the manufacturers’ brands we deal with – but not all, there are so many, it would be confusing if we listed them all! So if you don’t see a particular brand you are looking for, just call or email for more info… we would be happy to help you! Our family built the business on integrity, real integrity. If we can’t help you we will refer you to someone who can. That is what Discount Windows does! Discount Windows! 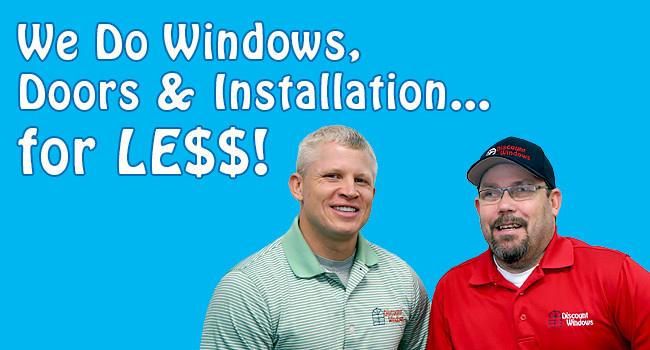 We do windows, doors & installation for LE$$! Again, on behalf of our entire team, Welcome to Discount Windows! Contact Discount Windows today at 541-998-8984, or browse the website for more information about our products and services. No other home exterior product can give an instant facelift to a home or business quite like a well-appointed entry door. Our customers choose from among a variety of custom and standard entry doors that provide beauty, security and energy efficiency. A structure's function and its architectural design are two major factors that a property owner should consider when they select their ideal entry door. Our selection of entry doors enhances the curb appeal of rustic cottages, warm French country estates, detail-rich Craftsman homes, sleek contemporary structures and many more. We make selecting the right entry door a little easier with our expert design consultants and access to numerous brands of high-quality entry doors. We proudly partner with regionally-owned manufacturers to bring our customers American-made entry doors that come in a variety of styles, materials and finishes. Whether our customers prefer the upscale look of real hardwoods, the security of steel or the energy efficiency and low maintenance of fiberglass, we likely have the widest selection and lowest prices available. A variety of etched, textured and patterned glass accent options can further customize an entry door's appearance. Using these material choices, we recommend doors that deliver the right combination of style, security, privacy and natural light to our customers' properties. One does not have to be a photographer to appreciate the impact that natural light has on an environment. Installing patio doors contributes to sun-drenched interiors, which tend to improve the moods of both residents and guests. Besides making living spaces more inviting, modern patio doors are made to be increasingly energy efficient. Property owners often choose specially coated, low emissivity (Low-E) glass for their patio doors that reflect ultraviolet rays and improve the heating efficiency of their homes. Others, who live in colder climates, may just use plain glass in their patio doors to let in light and heat. Many of our manufacturers offer patio doors that feature double-pane, Argon gas-filled glass panels that insulate the home and stabilize indoor air temperatures. While some property owners rely on expansive, picture windows to highlight stunning outdoor views, others find that patio doors represent a more practical option. People love our patio doors because they provide easy access to outdoor living spaces. They are great for families that have young children, who must be supervised while at play in the yard. Our top-quality patio doors come in a variety of materials such as fiberglass, vinyl, steel and aluminum, and we offer an assorted selection of hardware that adds style and security. Traditional French doors feature individual glass panels that are divided in a grid pattern by separators that are called mullions. These hinged patio doors are designed to either swing in or out onto a sunroom or patio. While French doors add elegance and light to almost any residential setting, a home's interior design and furniture layout must be considered since traditional French doors require space to open and shut properly. Some of our partnered patio door manufacturers also offer sliding French doors. These doors offer the classic look of French doors, but they glide parallel to walls, which saves space and adds design flexibility. While traditional French doors have true divided light or glass panes, the sliding door version usually consists of two or more large glass panels that have removal mullions. 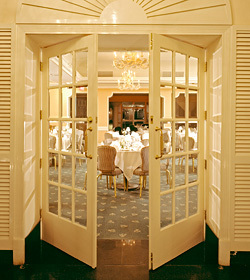 The mullions give the appearance of divided lights that are characteristic of traditional French doors. Property owners can remove the mullions for easier cleaning. 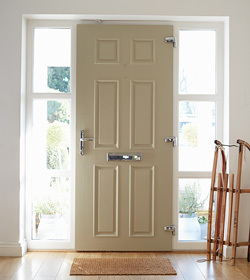 French doors are beautiful home accessories, but they were considered light on security in the past. Modern French doors now feature secure, multi-point locking mechanisms that guarantee that property owners do not have to sacrifice safety for style. Conventional sliding doors are one of the most popular types of patio doors on the market. They are designed for maximum flexibility of interior design since doors slide parallel to walls and do not swing out or in on hinges. Sliding patio doors consist of two or more large glass panels that are commonly framed in either metal or vinyl. These framing materials resist warping and cracking that can impair sliding doors’ insulating abilities. Sliding doors can use single panes or double panes that are Argon gas filled or Low-E coated for greater energy efficiency. Sliding doors offer great design benefits to property owners. These doors can provide a seamless way to connect indoor and outdoor living spaces. Property owners, who live in temperate climate zones, often enjoy opening their sliding patio doors for more natural, money-saving air conditioning. While glass is arguably the most prominent part of a window, the framing that encases the glass is an important window component that impacts looks and functionality. Window frames can be constructed of a variety of materials, and vinyl is a popular, budget-friendly option. During the 1990s, vinyl replacement windows also gained notoriety for their energy-efficiency, low maintenance, durability and color choices. We carry and install high-quality vinyl windows so that our customers can reap all of the benefits of choosing vinyl replacement windows. Changing consumer attitudes and innovations in new materials such as fiberglass have somewhat dampened property owners' zeal for vinyl replacement windows in recent years. 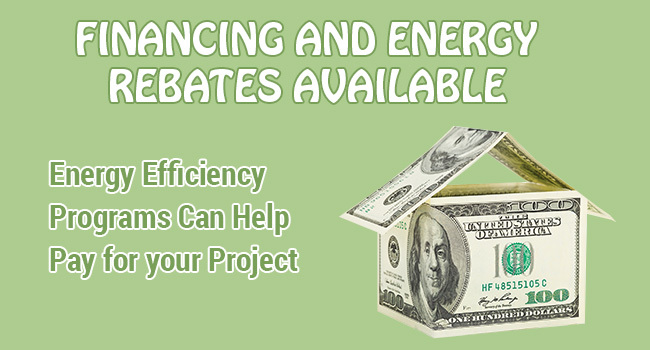 However, high-quality vinyl replacement windows remain a cost-effective option for many homeowners. For instance, wood windows represent the upscale look and quality that are often associated with affluent communities. Owners of mid-level properties who install wood windows may not recoup much of their investment during property sales; buyers love wood windows but often will not pay extra for them. The same owners who install high-end vinyl windows could get over 50% of their investment back during home sales. We listen to our customers and help them to select sturdy, great-looking vinyl replacement windows that fit their lifestyles, budgets and long-term goals. Genuine wood windows lend a luxurious touch to nearly every style of home. A well-crafted set of wood windows provides a superior seal between harsh outdoor climates and comfortable indoor spaces. When it comes to insulation value, wood windows rival top-quality vinyl windows, and they totally blow away the competition when compared with metal windows. Wood windows are the gold standard for replacement window projects, but their superior looks and performance typically demand higher price points than windows that are made from other materials. Property owners who live in historic homes or who want to give their houses the character of historic homes often opt for wood windows. Choosing to install real wood windows throughout one's property is a true investment. Wood windows are prized for their durability, and they can last a lifetime if they are maintained properly. Property owners who have genuine wood windows can refresh the appearance of their homes or businesses by simply painting their windows in coordinating colors. We love the eco-friendly nature of wood windows, which are made from sustainable, biodegradable sources. Our business model of offering discounted windows that are manufactured by trusted brands means that our customers get the timeless look of wood at the best possible prices. We also offer professional installation services that help to ensure that our customers get the most out of their wood window purchases. Property owners who want the classic look of wood windows without the associated maintenance often choose fiberglass windows for their replacement window projects. Our fiberglass windows have become popular in recent years because of their insulating qualities, low maintenance characteristics and style flexibility. They typically cost more than vinyl windows, but they tend to have lower lifecycle costs than real wood windows, which require higher levels of maintenance. Advances in window frame design have made a greater number of wood grain patterns available for fiberglass windows. Just like our wood windows, these windows can be painted to match a structure's décor. Since fiberglass windows are not susceptible to excessive amounts of expansion and contraction as are wood windows, there are fewer instances of chipped and cracked paint even in locations that experience extreme weather patterns. Vinyl windows cannot be painted, and they come in a limited number of colors. 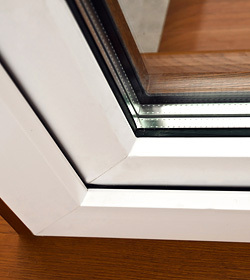 Fiberglass windows outperform both vinyl and wood windows in a few areas. They are made to be stronger and more durable than vinyl windows. 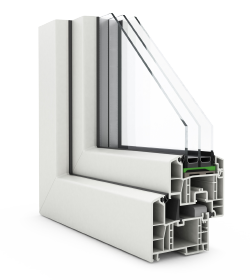 Fiberglass windows are considered to be more eco-friendly than vinyl windows. They are made of 60% sustainable glass material, and they do not off-gas chemicals that contribute to poor indoor air quality. Some of our partnered manufacturers add insulating foam to the hollow core of their fiberglass windows; the insulating properties of these windows are significantly higher than both vinyl and wood windows. Unlike improperly maintained wood windows, fiberglass windows are not subject to rot or insect damage. Outdated, inefficient or leaking windows are often prime candidates for replacement windows. Replacement windows are used when original window frames are still functional. New construction windows, which are considerably more expensive than replacements, are installed when original window frames are unserviceable. Identifying issues with windows early and addressing maintenance needs in a timely manner can save property owners money in the long term. 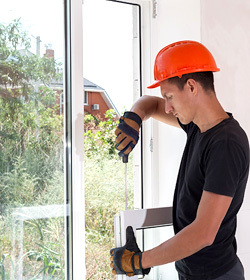 Even though technological advancements in manufacturing have driven down some window production costs, undertaking a comprehensive window replacement project can be expensive. Property owners should recognize when they need to replace their windows versus when they would like to replace them for aesthetic reasons. Drafts near windows, condensation between double-pane windows and extremely high utility bills in winter and summer are some telltale signs that property owners should consider replacing some or all of their windows. We recommend that our clients get professional energy audits to determine which windows need to be replaced to improve a property's level of comfort and energy efficiency. After conducting extensive research and shopping around, Oregon residents often find their way to our huge selection of discounted replacement windows. 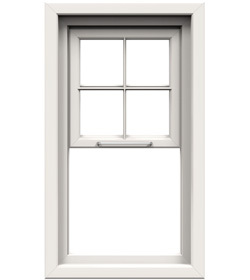 We carry and install popular single-hung and double-hung windows. Our clients can get specialty products such as easy-clean tilt-out windows, gas-insulated, double-pane windows and windows that are coated to block damaging sun rays. Whether our customers need to replace a few windows or update all of them, we have the styles and trusted brands to meet their needs.